The Mercedes-Benz Boundary store at the eastern edge of Vancouver proper is part of a cluster that includes BMW and Audi dealerships. 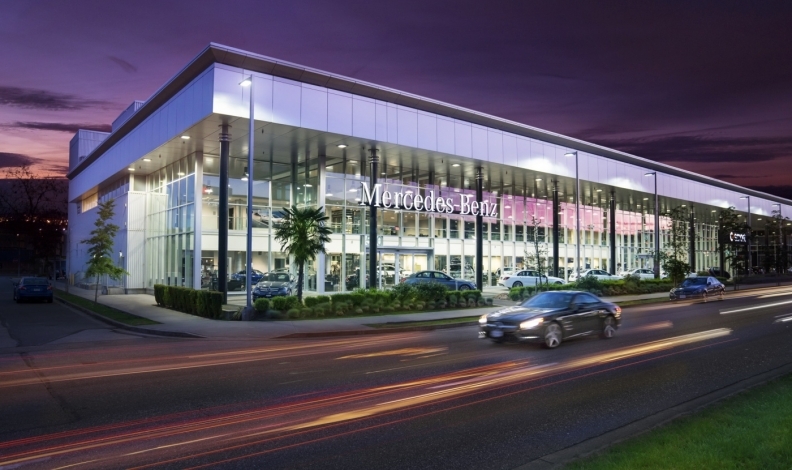 VANCOUVER — In a move sure to spark a flurry of interest, MercedesBenz Canada is selling four of its 11 remaining corporately owned dealerships. All four are located in the Metro Vancouver area: Two in the city, one across Burrard Inlet in North Vancouver and another in the southern suburb of Richmond. Two privately owned Vancouverarea Mercedes stores in Langley and Surrey belong to Dilawri and Open Road auto groups respectively. The divestment program was not publicly announced but Mercedes-Benz Canada confirmed the plan after an inquiry by Automotive News Canada. It was “not a secret,” said communications director JoAnne Caza. “The employees were informed first because we wanted to be honest and open and transparent, so they knew exactly what was going on,” she said. The directive to sell the stores, which account for about 15 per cent of Mercedes-Benz Canada’s total sales volume, came from parent Daimler’s board, President Brian Fulton said in an interview. Daimler has a strategy to sell corporate stores globally, including Australia, Britain, Belgium and Germany, where 63 of 158 Mercedes dealerships have been sold since 2014. “That was just the decision that was taken just to reduce our own retail footprint globally and also in Canada,” said Fulton, adding that Canada ranks No. 1 in own-store retail sales as a percentage of overall volume. The board approved the Vancouver program in April. Fulton said it’s hoped the transactions, which affect about 450 employees, will be concluded by the end of this year or early 2019. 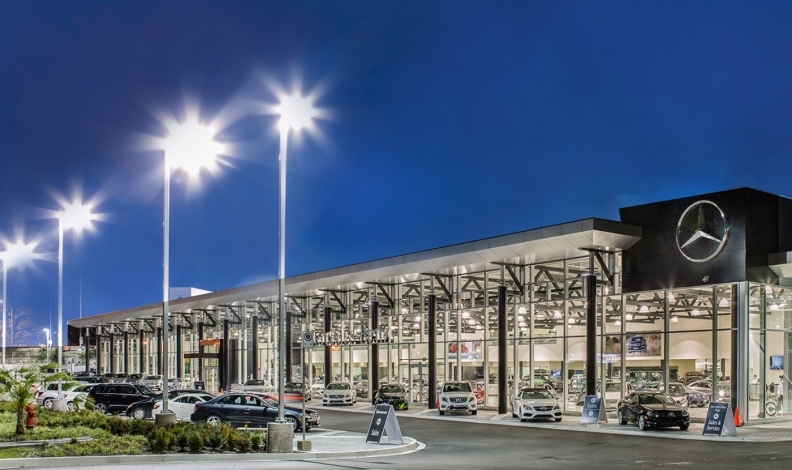 Mercedes-Benz Canada sold five corporate stores in the last two decades – three in the Montreal area, one in London, Ont., and a Metro Toronto store in Newmarket, Ont. Fulton said expressions of interest have been “too many to count.” That’s not surprising; it’s unheard of that a prestigious luxury brand puts four stores on the market at once. Mercedes is the top luxury car retailer in Canada and about a third of B.C. new-vehicle sales are in luxury segments. The company will entertain offers from Canada and internationally. Deals could include one or more of the properties. The two Vancouver dealerships were relocated to shiny new premises within the last year. Mercedes’ regional body shop will be bundled with the North Vancouver store. in a reclaimed industrial area near downtown. Several likely Canadian suitors, including owners of the Langley and Surrey dealerships, would not say whether they were considering bids. The sell-off will not be an auction. “We are looking for buyers who will honour and respect the significant financial, real-estate and human-capital equity that Mercedes-Benz Canada has invested into this market over the course of many decades,” the company said in a statement. Existing successful Mercedes-Benz dealers in Canada and elsewhere are being identified as potential candidates, said Fulton. There are others outside the Mercedes family who have proven track records, he added. The Vancouver sales will leave Mercedes with seven corporate dealer ships in the Toronto area. Fulton said he has reassured their staff there are no plans to sell those stores. “There’s zero discussion right now with regards to Toronto,” he said, not ing the company just acquired property for an expanded dealership in suburban Etobicoke. Customers will not experience any changes, the company said in its statement, and they should expect the same or better levels of sales and service at those locations in future.